Eastern philosophy calls for minimalism in design of the home. 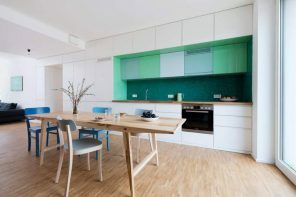 Spacious rooms with a light finish, the abundance of natural light and a minimal set of furniture and decoration of draw attention of many people in the photo. But how to implement such a design in your own apartment or private house? It seems that minimalism is able to squeeze hosts out of their own homes. 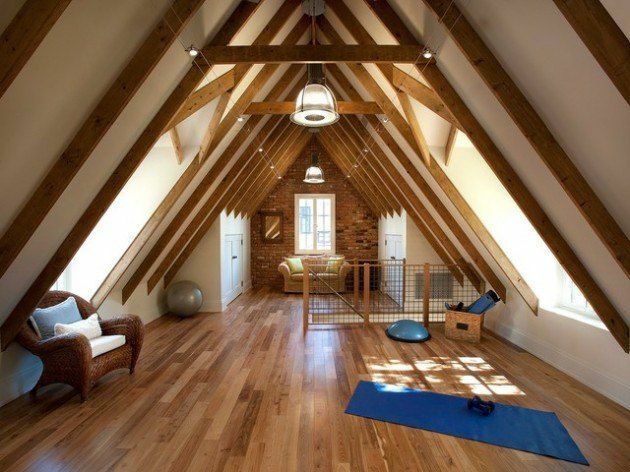 For homeowners who have children, home decoration in minimalist way, seems impossible and even more so. 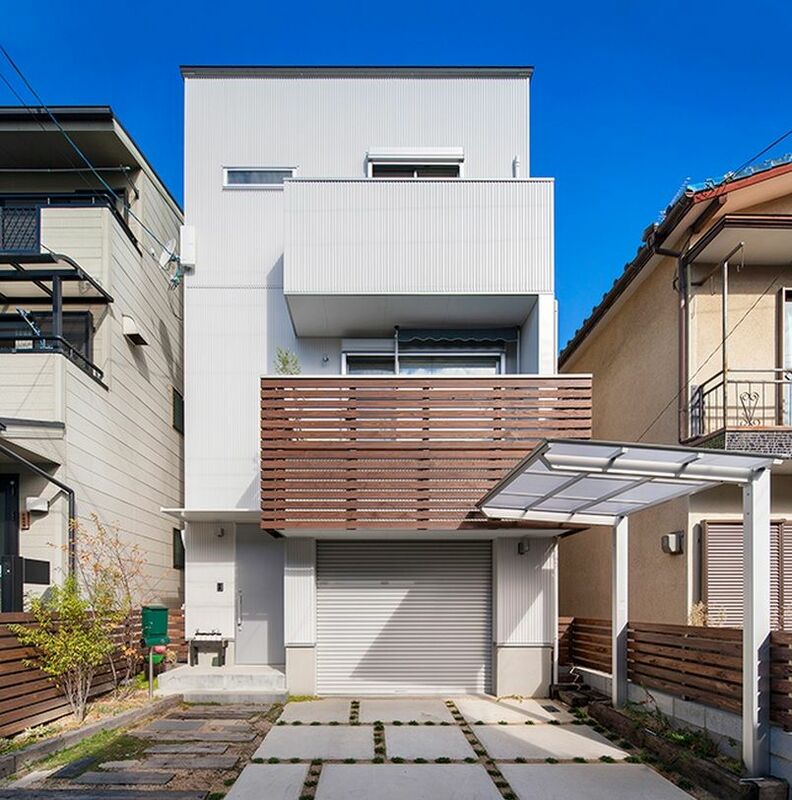 But the designers of this Japanese home ownership, together with the owners, were able to find a compromise and arrange accommodation with a minimum of furniture. Herewith they does not sacrifice comfort, coziness and needs of all family members. Let’s see how they were able to realize their plans and take a little photo excursion of the Japanese private house decorating ideas. Because of the high price of land, the majority of Japanese private homes, both in the city and suburb, are narrow but tall buildings. The snow-white exterior decoration is ideal for those who do not want to stand out much among neighboring houses on the street, but who want to create a bright and even airy image of the exterior of the home. On the ground floor there is the living room, which is conjoint to the kitchen space and dining segment. The open layout of the room allows you to keep a sense of spaciousness, and to ensure unhindered way through all the areas, despite the high functional load space. The white walls and flooring with light wood is perfect finish not only for lovers of minimalism, but also a universal method of providing the most effective background for any furniture and decor. In the living area everything is simple and succinct. 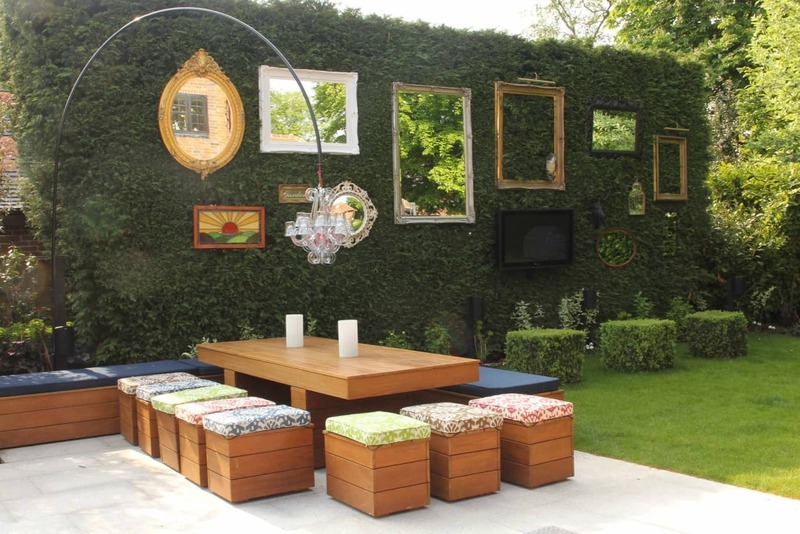 Resting segment is represented by a small sofa with a wooden frame and bright velor upholstery. Video area consists of TV and storage systems in the most simple modification. Black and white art work and a large potted plant on the floor were the only decorations of the area. Then we proceed to the kitchen segment located on an relative elevation to the living area. There is enough space for a single-row arrangement of kitchen units with the peninsula and completed dining group. In the design of the functional segment it uses the same design concept – contrasting elements on a snow-white background furnished to maintain the dynamism and color diversity of the space. Each functional sector of the kitchen space has its own lighting system. 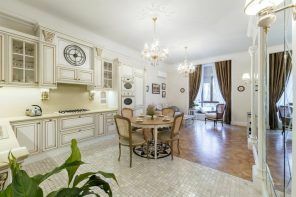 It is a composition of three hanging lamps of contrasting black tone over the work area and original plafond-chandelier of the similar color over dining group. Usage of the chairs of different models and colors in the sector of the dining room gives the interior a certain enervation, adds comfort and warmth to the atmosphere of the room for cooking and dining. There is also a laundry room, equipped with the latest technology, on the ground floor of the Japanese private house. Convenient storage for detergents and countertops for folding and sorting laundry have become very practical supplement to the household appliances. Using the black magnetic boards in homes with children become a real mainstream. This is not only a convenient base for the manifestation of creativity of the younger generation (all children love to paint on the walls), but it also helps in housekeeping for parents. You can leave messages to each other, to write recipes, shopping lists and other trifles to facilitate your lives. Wooden stairs ascend us to the upper level of the Japanese houses from the first floor. There is one detail in the decor of the entire household that is repeated in the interiors of different rooms – the image of owls. These cute creatures are present in the form of wall decor drawings, wallpaper and textiles print, in the form of small figurines, sculptures. The space near the stairs on the second floor is decorated very originally. Large bar and a couple of the original bar stools are the only furnishings in quite spacious room. And behind the two bright coupe-doors is hiding even more spacious play room for children. The room for games have all the same space, light finish and bright furniture and decor. In such a large room for the children space is more than enough. We go to the bedroom space and simultaneously observe the presence of the “bird” decoration at the bar. Small white birds among the strictly and cool design looks surprisingly organic. They are bringing a touch of warmth and comfort. 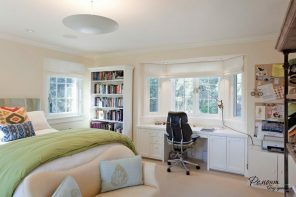 In the bedroom we can see no less simple and minimalist interior. Large bed in motley textile design, similar print on the curtains and original design chandelier made the whole interior of a room for sleep and rest. In fact, nothing more is required for a relaxing and deep sleep. Even utilitarian premises found an opportunity to use “owl” prints for the wall design. Graphic images of birds decorate the surface of the bathroom. Using black and white combination in any environment not only creates a contrast perception and structuring the entire image, but also brings a certain dynamism in the design space.